Ever have a craving for Korean Food? And no, not the fancy Korean BBQ (although that’s always a beautiful thing to have!) but, the laid back, easy to eat specialties. Something simple, filling and goes straight to satisfying your stomach? A dish that you can eat all in the comfort of a little sitting area where you can socialize with your friends and just catch up? The Yummy BBQ Restaurant on Yonge Street is the place for you then! 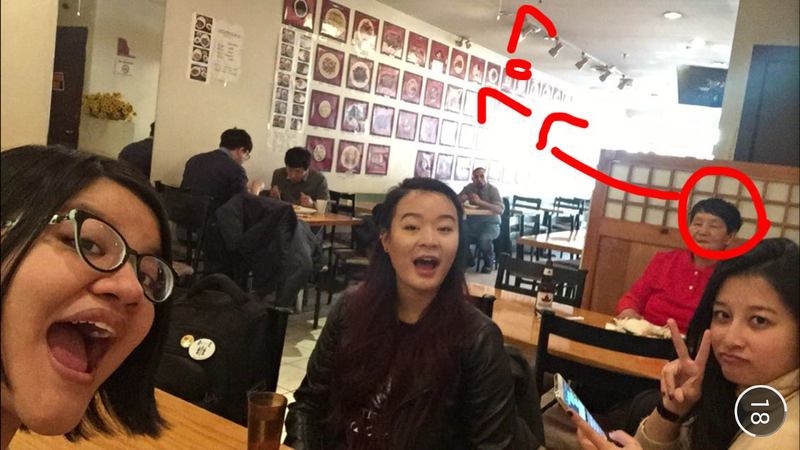 Old Snapchat at Yummy BBQ! 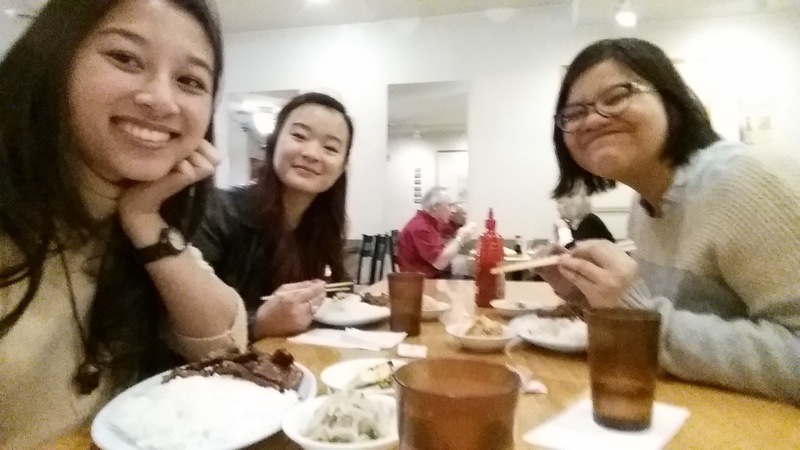 The time I made my visit to this restaurant was actually back in first year when I got to hang out with my CHM139 crew, which consisted of these two amazing girls in the photos! I think it was on the suggestion of my friend Alisa; she knew that the Korean food there was reasonably priced, and offered great varieties on Korean selections! When we went to Yummy BBQ, we got our choices on the Lunch Special, which happens Monday through Sunday from 11am to 3pm. 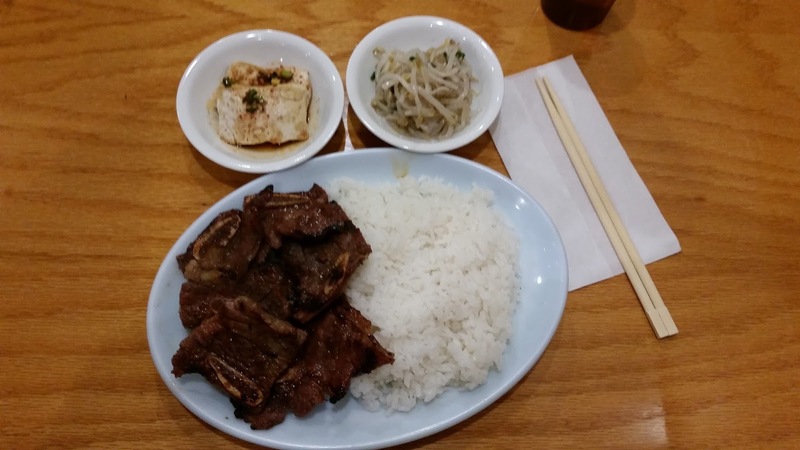 Each of us got different variation of the lunch special – for my choice I ordered the BBQ Short Ribs with Rice, Kimchi, and Tofu. A delicious choice on my part! I wish I took photos of my friend’s selections, but on their account I do remember them enjoying their selections as well! 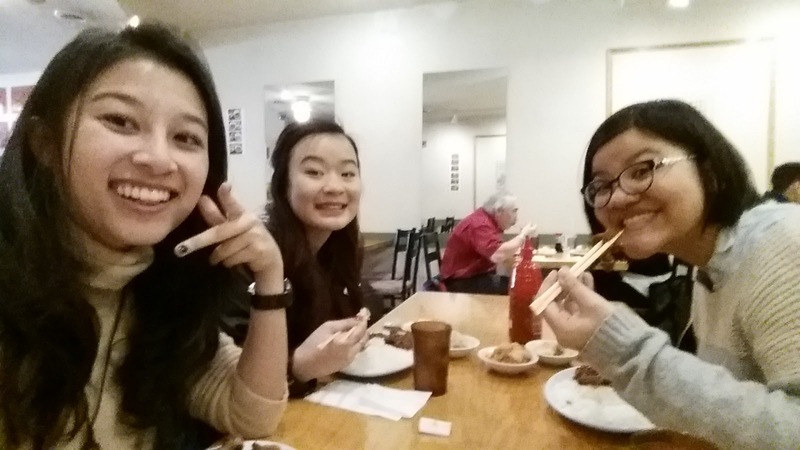 This restaurant was definitely on the more easy going end; and it’s perfect to take your friends to if you’re looking for quick, “yummy” Korean eats nearby campus! Make sure you pay your visit to Yummy BBQ – I promise, you won’t regret it!